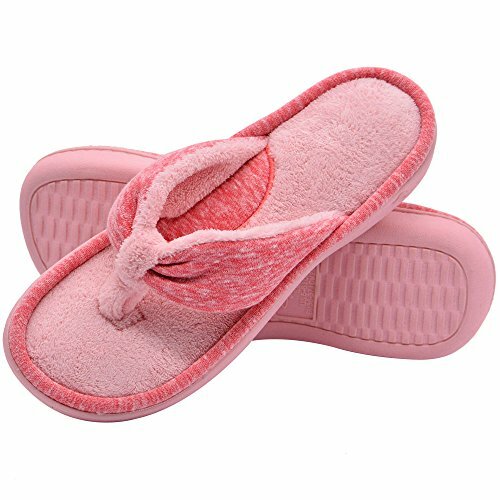 Wishcotton Comfort House Slippers - Refreshing your daily life! Now, get this new pair of slippers and enjoy yourself on your day off! - Elevated arch area offers extra padding for the arch of your foot. - Memory foam and cozy material give you unique soft feeling. - Breathable material prevents sweaty feeling. - Nonslip hard sole can make you walk steadily. - Machine or hand washable, easy to care. If you wear a half-size (e.g. women's 5.5, 6.5, 7.5, 8.5, 9.5, 10.5, 11.5) or plan to wear socks, always get the next size up.